Are you a (bio)medical student and do you want to gain in-depth knowledge of a (bio)medical topic? LUMC offers electives (half minors) in English that are open for international students. Each elective course of ten weeks covers a specific theme and has strong links with cutting-edge research within LUMC. Only a maximum of 20 students will be accepted for each elective, which means you will always work in small groups and have lots of interaction with the group and the teacher. Over a ten-week period, you will be completely immersed in the topic and explore different aspects. The teachers are experts on the subject and will challenge you to learn as much as possible. There will be practicals, work groups, and you will learn how to set up a research project and apply the knowledge you have obtained. After ten weeks, you will know all there is to know on a topic. This provides a good basis for a research project later in your studies or career. We have a large selection of electives, an overview and descriptions of all half minors are given in the e-prospectus. If you want to make it a full 30 ects semester, you can add an internship in one of the half minor disciplines. This way you can earn enough credits, and you can stay a semester till the Christmas holidays. 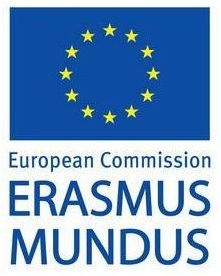 Students participating in the ERASMUS programme spend a minimum of three months, and maximum one year at the partner university. Courses taken at the partner institution can only be approved if these are part of the sending institution’s curriculum. The ERASMUS programme provides students with scholarships for the duration of their studies abroad. This helps cover the students’ emerging costs, such as transportation, accommodations, food, and insurance. You can apply for the half minors if you have successfully completed the first two years of a bachelor program in Medicine or Biomedical Sciences and meet the other admission requirements. International students have to register through the online registration system before April 1st. You will be asked to upload a motivation letter and several other documents. In the remark field, you can rank your order of preference (1. Your favourite half minor, 10. Your least favourite half minor). A full overview of all half minors is given below. Dutch students from other universities can apply by following the procedure for Dutch guest students. We always aim at placing students for the half minor of their first choice. However, there is a limited number of places available for each half minor. When you want to add an internship, please contact the international coordinator for more information.